Multifunctional Angle Finder: Durable plastic material, good for personal and professional use. Easy to make repeat cuts on arches and joists.Great layout tool for creating complex shapes and angles. Usage:Perfect for builders, craftsmen, weekend warriors and DIY-ers alike, it is an essential tool for any toolbox! 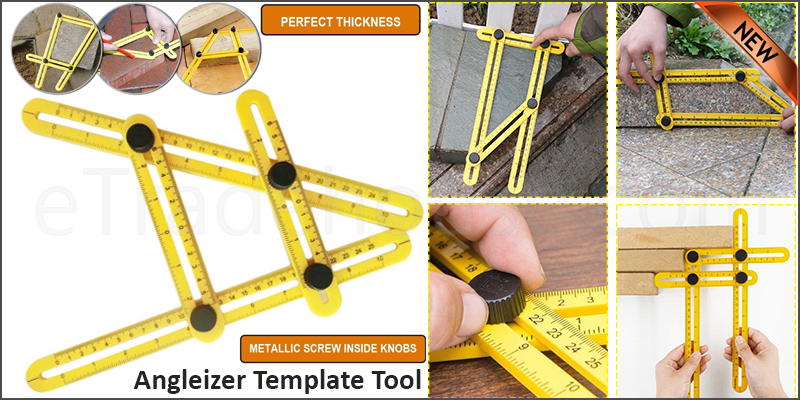 Template tool can be set to mark bricks, tiles, lumber,laminates, and others.